Formulated and nutritionally balanced to ensure safe transition for starting your cattle into full grain feedlot situations or grain assist paddock conditions. Made from a mix of quality rolled grains, molasses and additives. Feedlot Starter should be fed for minimum 3 weeks. Cattle should have access to ad-lib roughage for the first 7 days. Roughage can then be gradually restricted over 3 weeks until it makes up between 9% and 12% of the ration. A supply of fresh clean water is vital for the health of cattle on feed. Feed intakes can vary from animal to animal though cattle will eat approximately 2.7% of body weight in feed per day. Base raw materials may change in composition seasonally, subject to availability. A premium formulation used by many successful local show pen winners and cattlemen to fatten and finish beef cattle. 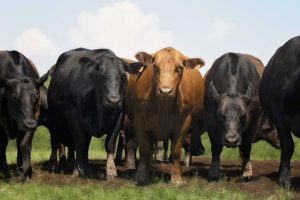 Finisher is a high energy ration blended to provide optimum weight gain and performance after cattle have completed the 3 week Starter period. Finisher will give you results. 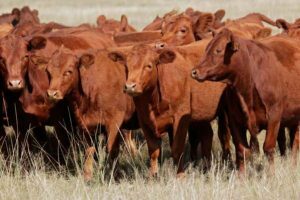 Good feedlot cattle husbandry procedures should be followed and cattle regularly monitored. A feed developed to provide the nutritional inputs that can make a significant difference in the show ring and commercial production. Stud ration will put the winning finish on your show cattle by allowing them to reach their full genetic potential. Our specially selected ingredients are designed to give your show stock the bloom and finish for standout results. 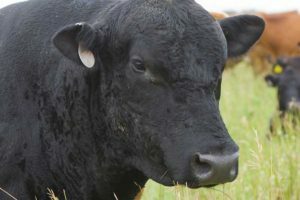 Cattle should be introduced to Stud Ration after the 3 week Starter period.